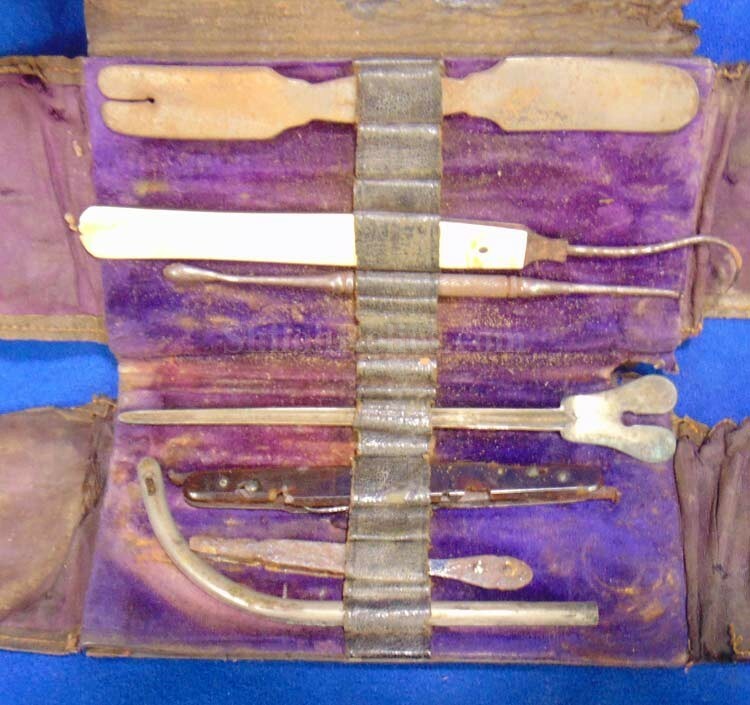 Here is a cool piece of original Civil War era medical history. 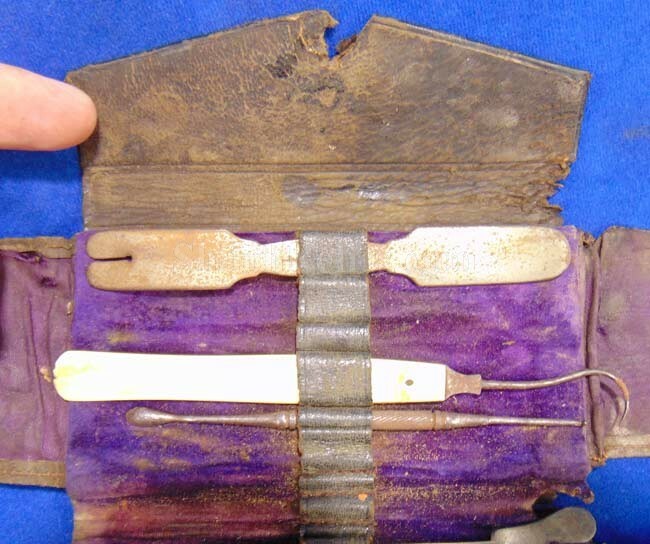 This is the pocket-sized traveling surgeons kit of the Civil War era. The case itself is made of very high quality red Moroccan leather. 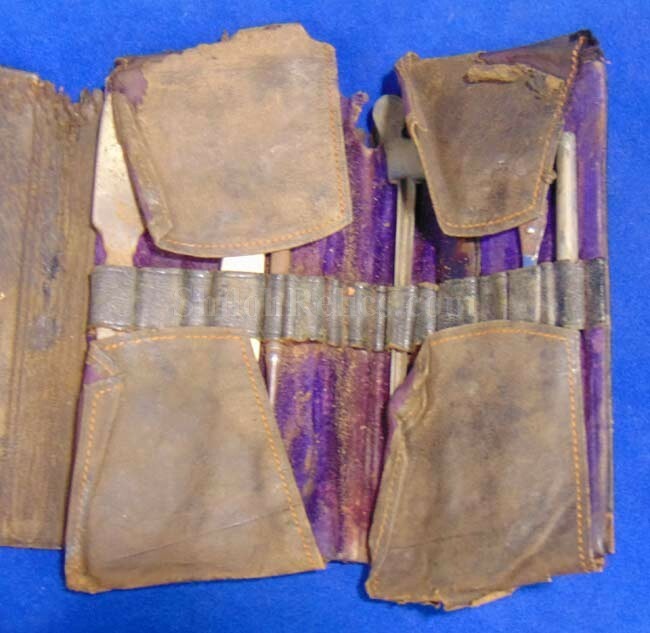 As you can see this one was carried extensively judging from the wear and tear on the leather. 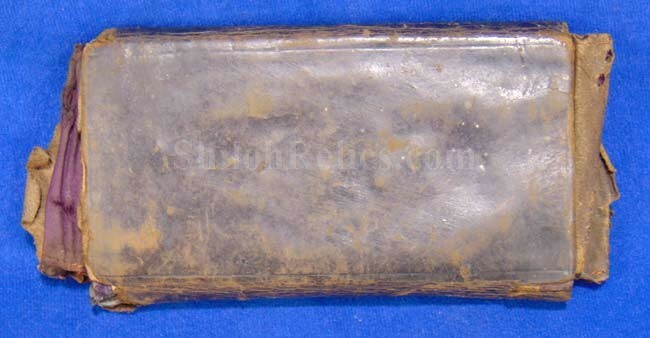 It is missing the original brass clasp intact on the outside. When you open the kid up. 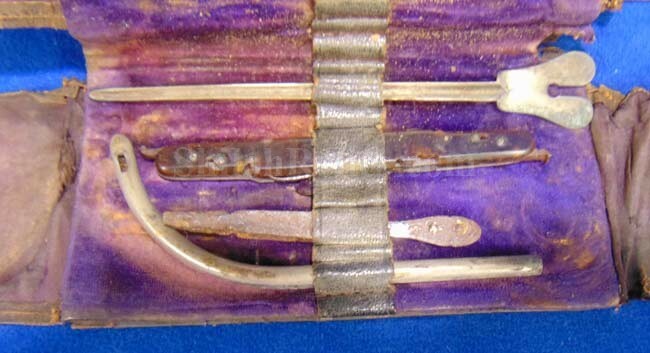 It reveals the 2 sections that were designed to hold 13 separate instruments. 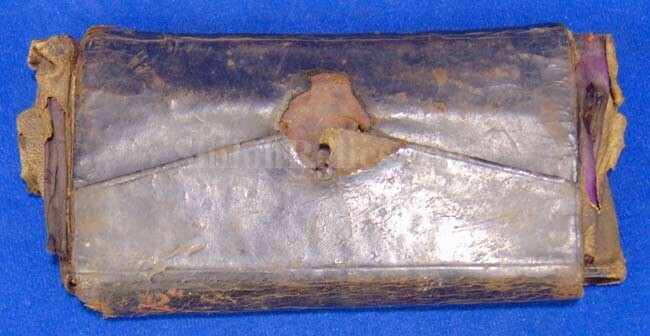 There are 7 pieces inside with one of the them being from after the Civil War. 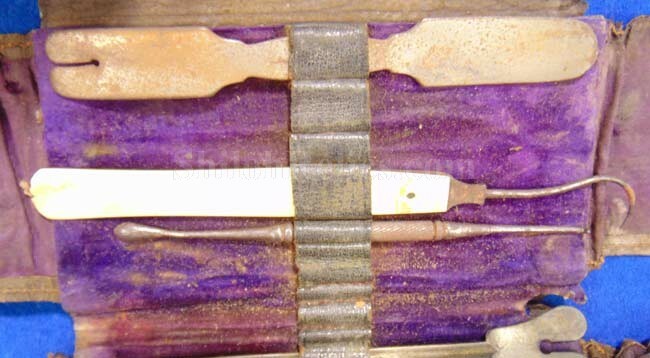 The handle on one of these instruments is made of tortoiseshell and another is ivory. The tortoiseshell has deteriorated over the years. As you can see. 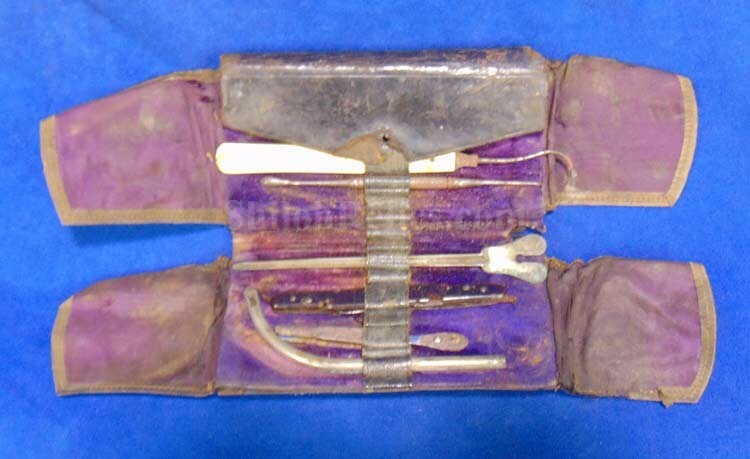 The set still displays well and gives a glimpse inside what was used as "state-of-the-art" medicine. During the Civil War.